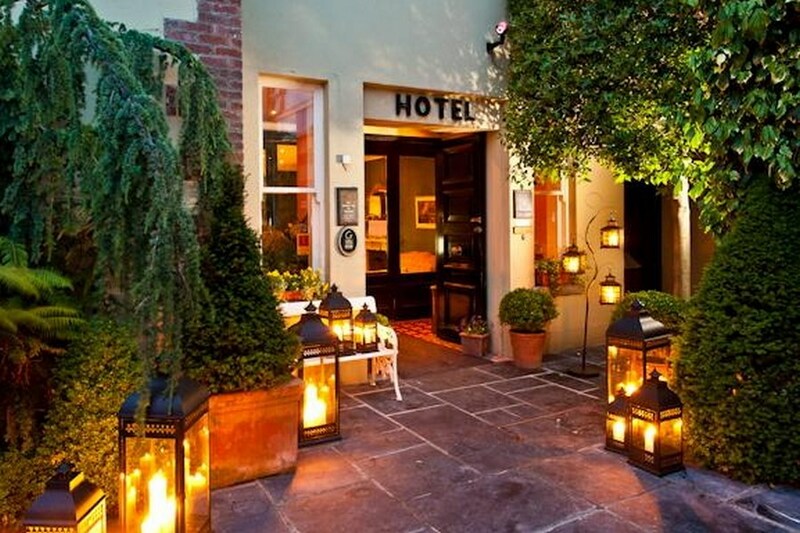 The Riverbank House Hotel is one of Wexford's best known hotels. Located just across the bridge from Wexford Town the hotel is the ideal venue for anyone planning a trip to The Model County. We pride ourselves on our high customer service and you can be sure that we will endeavour to make your stay with us a memorable, relaxed and enjoyable one. 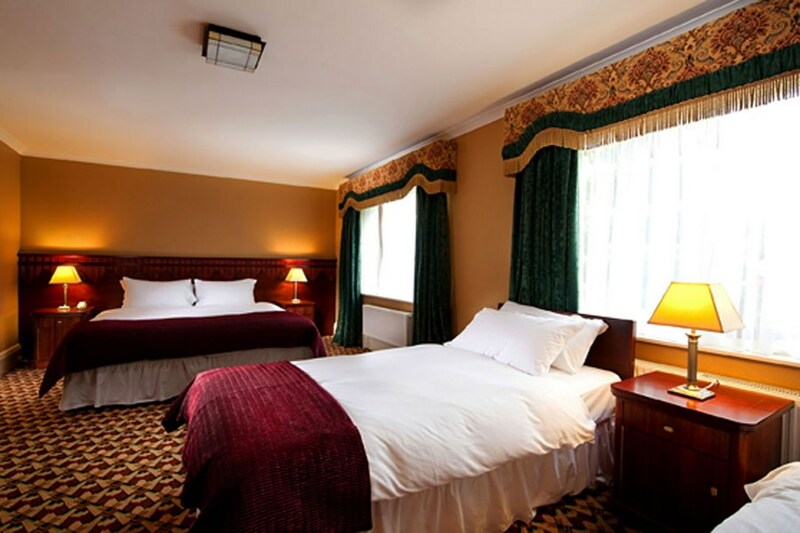 The Riverbank House Hotel offers a "Superior Service" from all of their staff. Right from the moment you step into their reception area, you are greeted with the most friendliest welcome. It seems their goal is to ensure that all guests have a most pleasurable experience. Nothing is a problem and I have to say the STAFF go above and beyond their roles and duties. The food is AMAZING! I HIGHLY recommend this hotel to all parties (groups/families/couples) We most definitely will be back again! Lovely Hotel with great food and very friendly staff. Would highly recommend it. A beautiful hotel with friendly staff and good food. Will definitely be back. This hotel is excellent for famlies. We used it as a base for touring around Wexford. The beds were so comforable. Breakfast and the service were first class. We had dinner one evening in the bar and the choice of food was excellent we wanted it all. But i was moreso amazed by the childrens menu choices my son had the chicken spring rolls followed by duck and vegetables tossed in noodles. We will be back great place to stay. 5 OUT OT OF 5 AND IF I COULD GIVE MORE I WOULD. WHAT AN AMAZING HOTEL WITH WONDERFUL STAFF. THE ENTRANCE IS NOT BIG BY ANY CHANCE BUT THEY HAVE MADE IT BEAUTIFUL AND RELAXING WITH THE USE OF FLOWES AND CANDLES ITS JUST SO PRETTY AND THE INDOOR GARDEN AREA IS JUST THE PRETTIST I HAVE SEEN IN A LONG TIME. THE BREAKFAST MENU IS THE BEST I HAVE EVER SEEN AND IT CATERS FOR EVERYONE SITTING WATCHING THE RIVER AND THE BOATS IS THE BEST WAY TO ENJOY BREAKFAST. THE ONLY REGRET I HAVE IS THAT I DIDNT STAY LONGER. Found everything about this hotel fantastic, staff extremely attentive and made me feel very special which I would like to thank them for, all in all great value for money definitely going back for another visit. Fantastic stay , reception staff wonderful. Made it a lovely stay for us and our 2 kiddies with cookies and milk left in the room for them. food lovely and no long waits. Outdoor area would be fab in summertime, Will stay again for sure. My husband and I stayed in the Riverbank House Hotel during the Opera Festival at the end of October this year. We loved this hotel - it's in a great location just over the bridge from Wexford town but its main selling point is the staff. The reception staff are particularly friendly and efficient and call you by name from the moment you arrive. 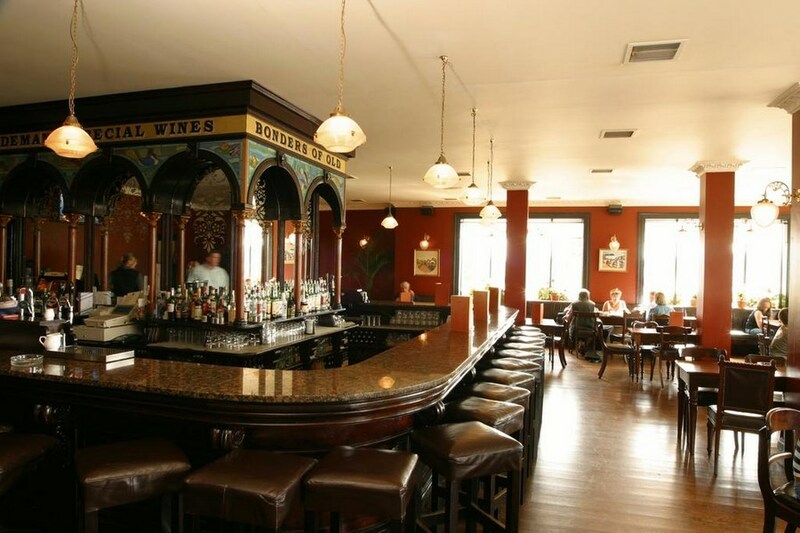 The bar and restaurant staff are also very friendly and all give the impression that they are proud of their hotel and want to do their very best for it. This is very refreshing and works to the guests' advantage - nothing is too much trouble. When visiting in the winter months, the welcoming ambience at the entrance with candles lining the pathway is continued in the foyer with candles on all available surfaces near reception. The open fire which is lighting from early morning is very cosy. The food in the restaurant is delicious - especially the fish which is as fresh as one could hope for. The breakfast is one of the best we have had in any hotel - all hot dishes cooked to order and fresh fish included in the breakfast menu. The room we stayed in was spacious (they do have some smaller doubles) and was well furbished with tea and coffee making facilities. The shower was pretty good in the bathroom but the extractor fan was a little noisy and there was very little shelf space near the sink. Overall, we had a most enjoyable stay and will definitely be back. Friendly, courtous and very helpful staff. Room spacious but a little dark. Service and food excellent. Would certainly come back again and would recommend this hotel family and friends. We had a fantastic stay & would reccomend this hotel highly! we will also be back very soon! Staff are extremely helpful & willing to assist. Really great hotel such helpful and friendly staff! Super views from bar of river especially at night. Great outside area beautiful candles everwhere inside and outside of reception area. Wiil be back. really nice touch we were given some bottles of water for our journey home and free tea an coffee in lobby on check out. It was a wonderful stay, hotel superb ,great atmosphere, very friendly staff in all areas of hotel will deffenitly be back. excellent value food very good. The hotel was clean and tidy. The staff were excellent and the food fantastic. Hotel was nice but reception, rooms, corridors were very dark. Bedroom was ok. Staff very friendly and food was really good, great breakfast with a good choice and food in the bar was excellent. Excellent food. Staff very frienly and courtous. Highly recommend it. Old style hotel, clean but wear and tear evident,and rooms a little 'musty'.Food very good and the staff were exceptional with their service. Myself, my husband and 2 children stayed here for 3 nights. Hotel was lovely, very clean and just a short walk across the bridge into Wexford town. The staff were all very friendly, welcoming and very helpful. The breakfast was everything you could want for adults and children and again the staff were fantastic and very friendly. Would highly recommend the Riverbank house hotel and definitely stay there again in the future. Very friendly staff and made the children very welcome . Good food in adjoining bar with again friendly staff,breakfast was also good and served promptly. I would recommend hotel to friends and will return again. I stayed here with my partner and another couple. The hotel is well located. The rooms are very comfortable and food is fab. As for the staff they are so friendly and make you feel very welcome. Will definitly stay here again. The Riverbank hotel is a lovely "old fashioned" hotel. It's a 5minute walk across the bridge to the town.The food is nice and plenty of it!. Only downer is, the bar is more a restuarant than a bar. The bar has only one small telly. The staff are very friendly and helpful. The food is tasty and plentiful. The location is perfect. The room warm and comfortable. The candles a really nice touch! Definately will stay here again and recommend to others. A lovely hotel, the staff were really friendly and helpful, the dinner and breakfast tasty and plentiful. The candles were a nice touch and the location perfect. Would definately recommend to anyone to stay here, in fact I think I'll be back there again soon! Really enjoyed our stay in this hotel. The room was most comfortable and the food excellent. The staff were very friendly and helpful. We will definately stay at this hotel again. I would highly recommend The Riverbank House Hotel, the staff are very friendly, the food was very good and the hotel itself has a great vibe, it felt like home. I spent one night with my mother here and we will definitely return in the future, I have recommended this hotel to friends. I was there for the weekend with my sister and mother and requested a triple room on the ground floor if possible and got it. Alas the tele was up high and was about 12 to 14 inch and was near the ceiling. When we opened the curtain there was a wall in front of the window. at night if the window was opened we could hear what i think was a generater making a racket up to 12 at night. We enjoyed our stay as we try not to complain. Special word of thanks goes to the staff who went out of their way to be helpful. I would definitely go back but never to room 102. While the decor in the accommodation left a little to be desired it was clean, well provisioned, and served the purpose. We had dinner on Friday evening and the food was delicious and beautifully presented. Our waiter was excellent and showed great attention to detail. Without exception the members of staff were very friendly, courteous and eager to please. This began with the check-in right through to our check-out two days later - excellent. I have no hesitation in recommending the Riverbank House Hotel.